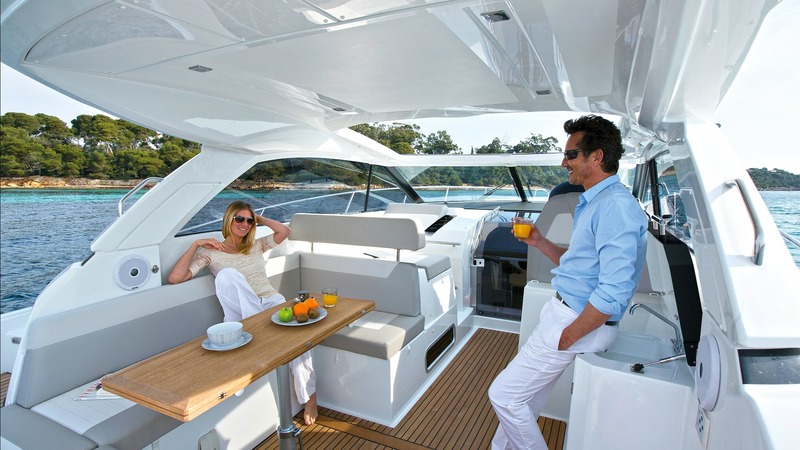 This boat is available in a number of configurations, open top, sport top, petrol or diesel. 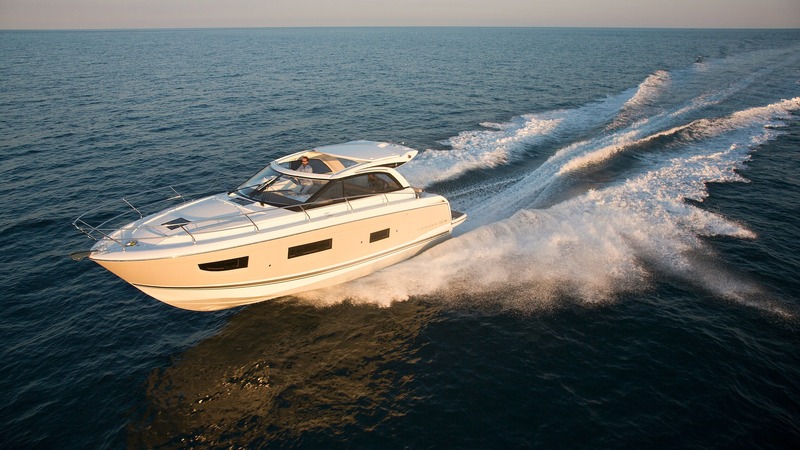 Designed for performance, the hull of the Leader 40 affords the exceptional comfort that has built the reputation of the Jeanneau brand. 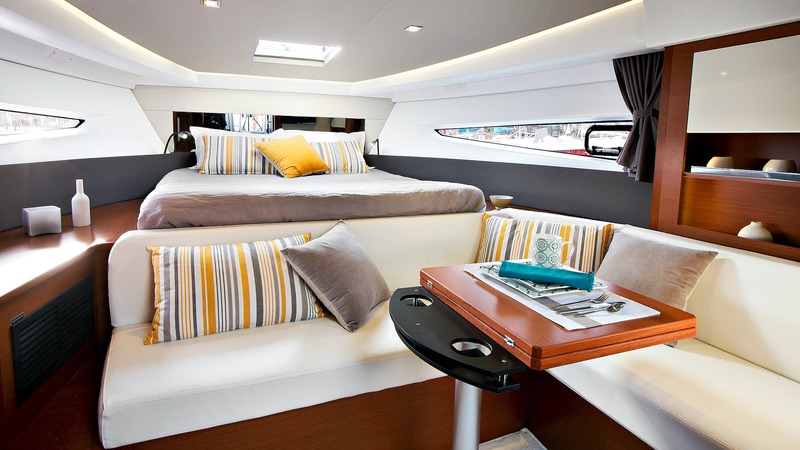 Two well-appointed cabins and a convertible saloon contribute to the pleasures of life aboard, whether on a day trip or a short cruise. 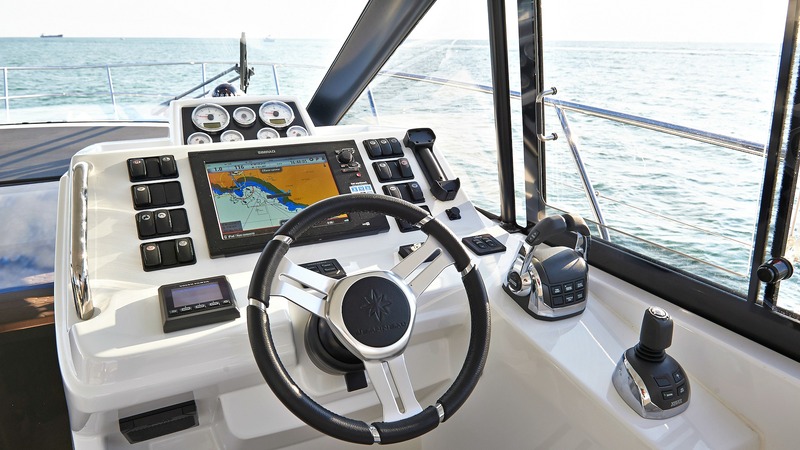 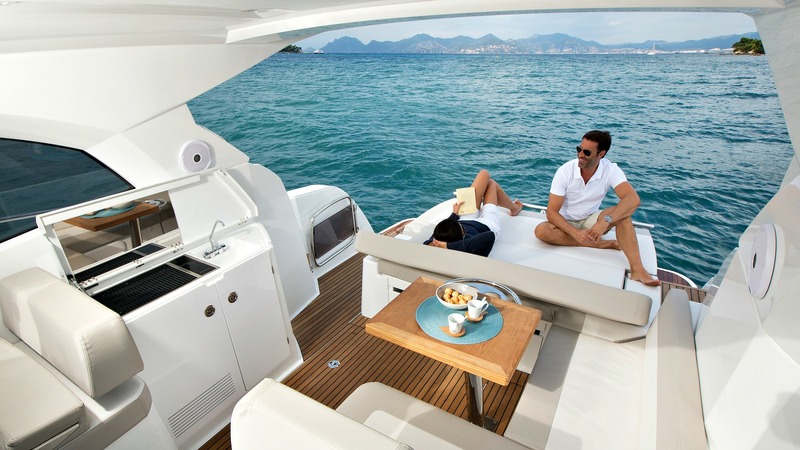 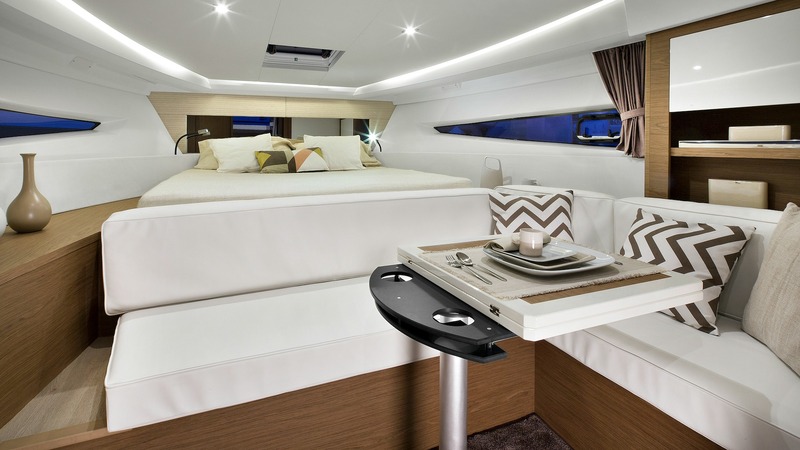 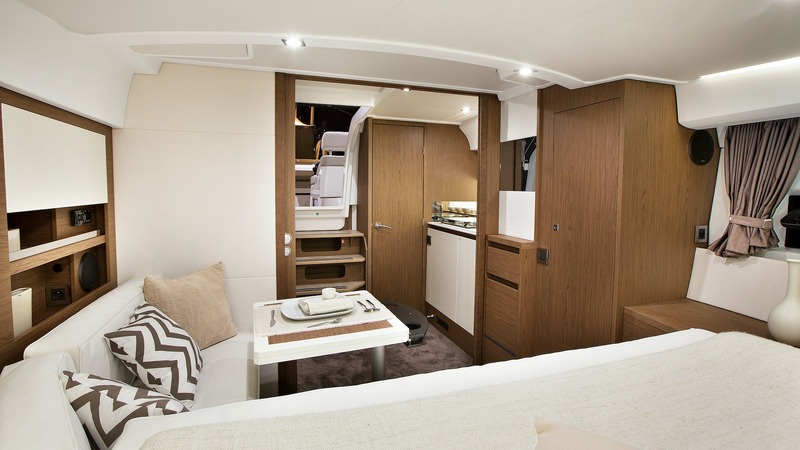 Particularly comfortable and inviting, the forward owner’s cabin features a direct access to the heads. 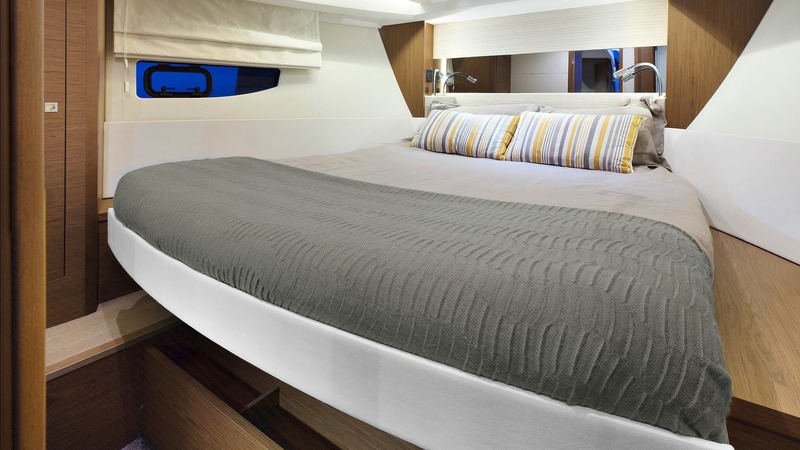 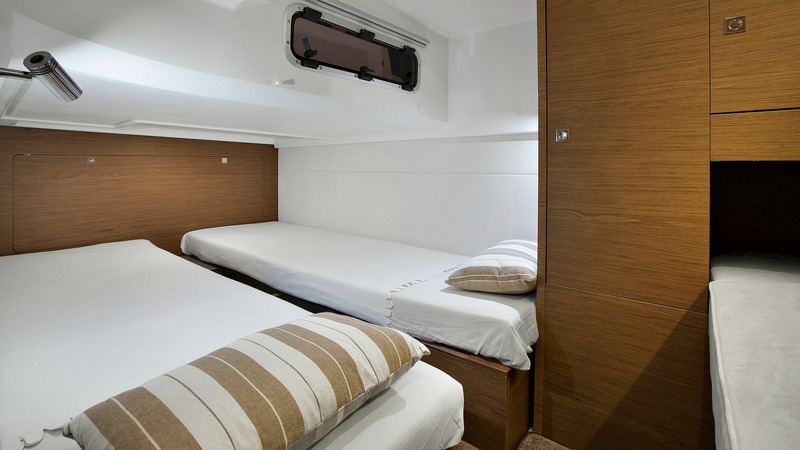 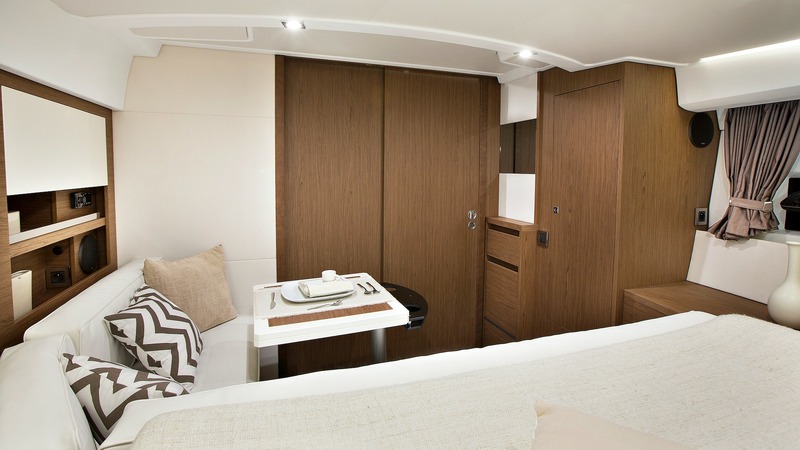 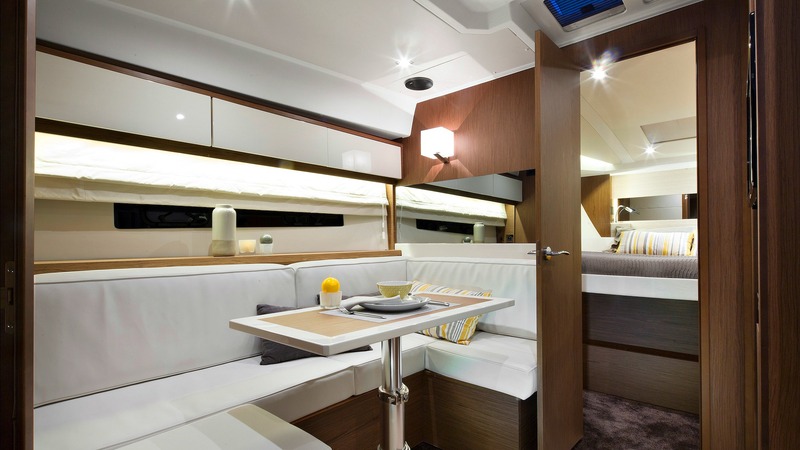 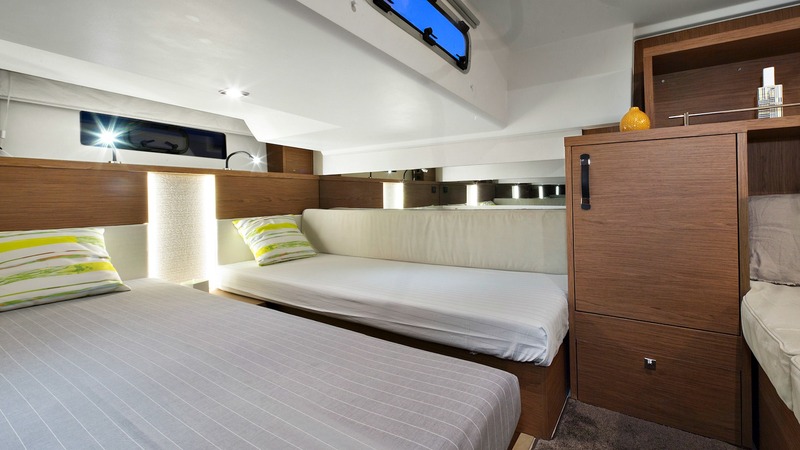 With three berths and a dressing table, the central cabin inspires comfort and privacy. 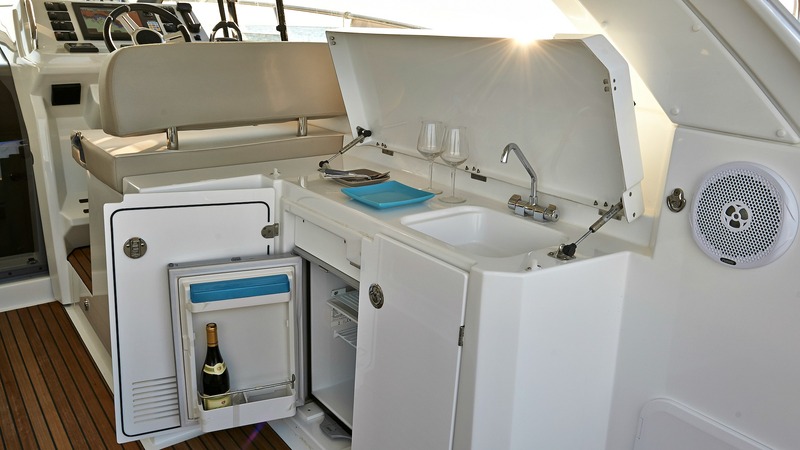 Due to its location near the entry, the galley is well ventilated. 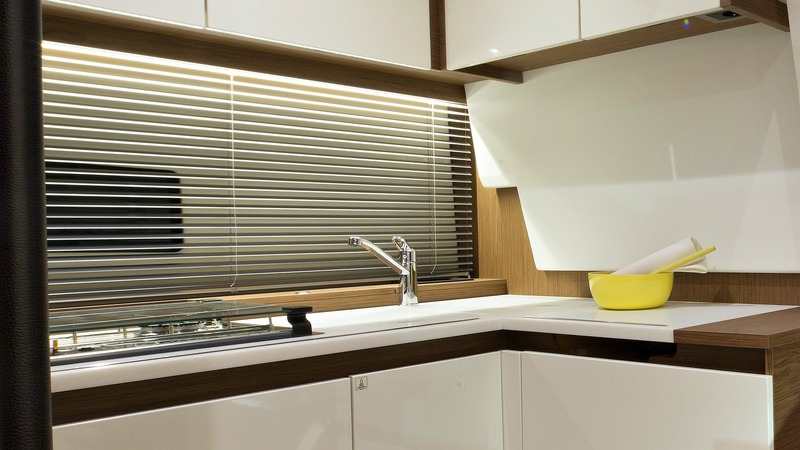 With an L-shaped layout and numerous storage compartments (with high and low cabinets), it features an ergonomic design and great storage capacity.